Every year TIME magazine publishes a list of what it considers to be the year’s 25 great inventions . This year's selection covers a broad range of ideas, from a levitating light bulb to shoes that tie themselves. And some of them are truly life-changing. Who says a football field has to be rectangular? Thai property development company AP Thailand has turned unused and unevenly shaped spaces in Bangkok into football fields. 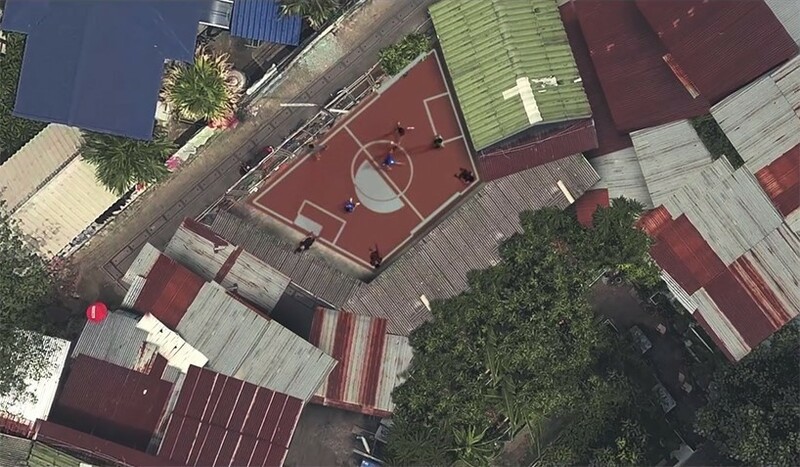 The Unusual Football Field was first developed in the Khlong Toei community, a highly populated area in Bangkok. If found unused but awkwardly sized spaces and converted them into spots where schoolchildren could go to play the nation’s favourite sport. This video shows how the company converted the spaces to give children a valuable outlet, and why they did it. For years, the Swedish furniture group IKEA has been designing functional and affordable furnishings. But it has also been solving problems outside the home. 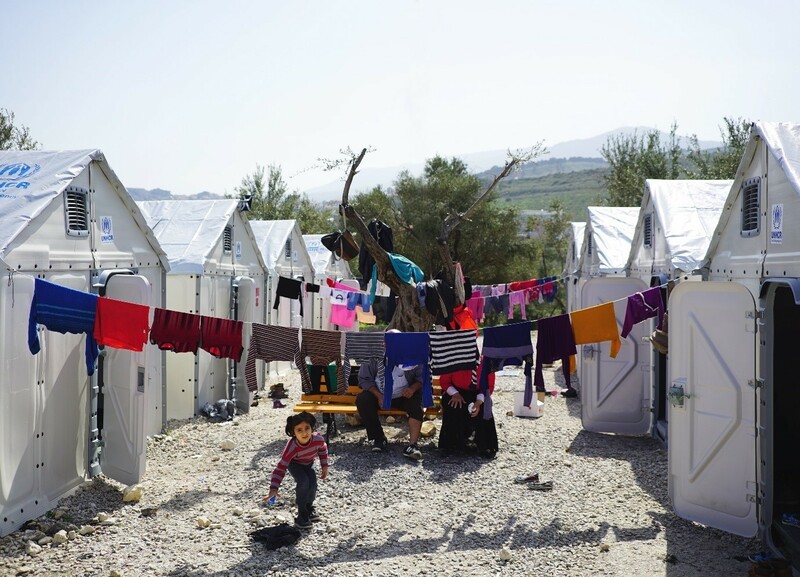 The company has supported the work of Better Shelter, an organization that, with the help of the IKEA Foundation and the UNHCR , has created a safer and more durable shelter for refugee families around the world. The Better Shelter is designed to last for at least three years and is suitable for areas in which local materials or construction workers are in short supply. It is “a ground-breaking example of democratic design form, function, quality, sustainability and an affordable price,” says the IKEA Foundation . But they can provide more than homes for refugees. They act as registration centres, medical facilities and food distribution points in Africa, Asia, Europe and the Middle East. “The refugee housing unit is an exciting new development in humanitarian shelter … Its deployment will ensure dramatic improvement to the lives of many people affected by crises,” says Shaun Scales, Chief of Shelter and Settlement, at UNHCR . Food – its quality, quantity, availability – is one of the biggest issues of our time. The World Food Prize is a Nobel-like international award that recognizes achievements of individuals who have advanced human development by improving the quality, quantity or availability of food in the world. This year’s winners are four people who, between them, have developed a nutrient-rich vegetable and helped to extend the reach of food crops whose nutritional quality has been improved. 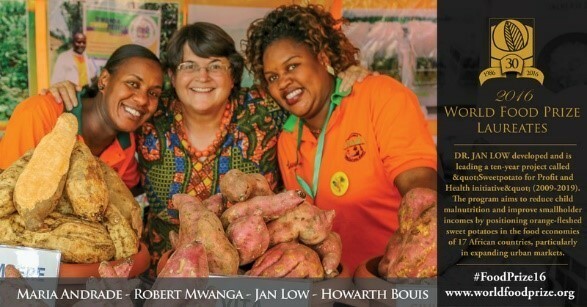 Three members of the team, Dr Maria Andrade of Cape Verde, Dr Robert Mwanga of Uganda, and Dr Jan Low of the United States, have created a sweet potato enriched with vitamin A. Deficiency in vitamin A contributes to high rates of blindness, diarrhoea, immune-system disorders and premature death in children and pregnant women in Africa. The potato is “the single most successful example of micronutrient and vitamin biofortification,” say the award organizers. The fourth winner of the award, Dr Howarth Bouis, has been recognized for pioneering the concept of “biofortification” – improving the nutritional content of a food – and turning the idea into a global movement. “Through the combined efforts of our four Laureates, over 10 million persons are now positively impacted by biofortified crops, with a potential of several hundred million more having their nutrition and health enhanced in the coming decades,” say the World Food Prize panel. Diabetes occurs when the pancreas cannot produce enough insulin, or the body cannot effectively use the insulin that it does produce. Without insulin, sugar can build to harmful levels in the blood. This can cause damage to all our major organs, from our hearts to our kidneys. It can also cause blindness, impotence and infections that can result in amputation. It’s a chronic disease that impacts the daily lives of its sufferers, who have to regularly check their blood sugar levels. In September of this year, a new device was approved for use by the Federal Drug Administration in the US. 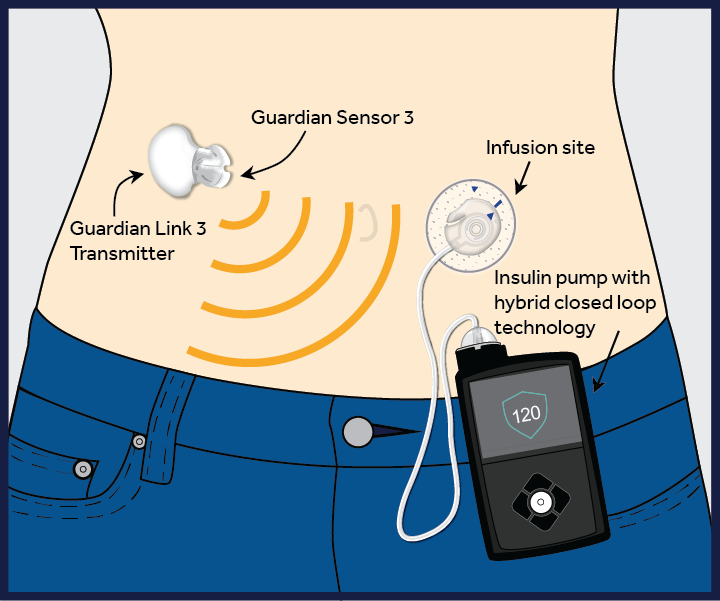 “ The MiniMed® 670G system is an insulin pump that automatically adjusts the delivery of insulin based on its sensor, which measures blood-sugar levels every five minutes. The company says it aims to help people living with Type 1 diabetes “spend less time managing their disease and more time enjoying life”. Colombia’s 50-year civil war turned it into one of the most heavily landmined countries in the world. Many children have borne the brunt, losing their lives or surviving with lost limbs. Colombian-born designer Carlos Arturo Torres took the typical prosthesis design and viewed it from the eyes of a child. 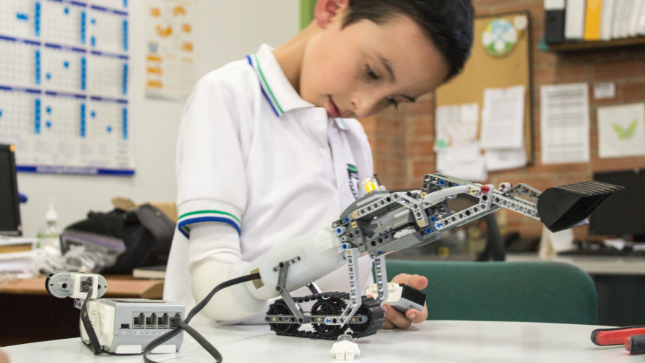 ‘What if kids could make their own prosthetics?’ he asked himself. The result is the IKO Creative Prosthetic System, an adaptable prosthesis designed on the back of extensive research into how children feel about wearing a prosthesis. It is both functional – it has a functioning hand attachment – and convertible into a toy. It has a LEGO space ship with a laser and a remote-controlled digger arm that can be attached instead. Wearable fitness devices have been one of the hottest products of recent years. Now there is one that aims to solve two problems at once: reducing obesity among children in wealthier nations while also helping children at risk of starvation in poorer ones. 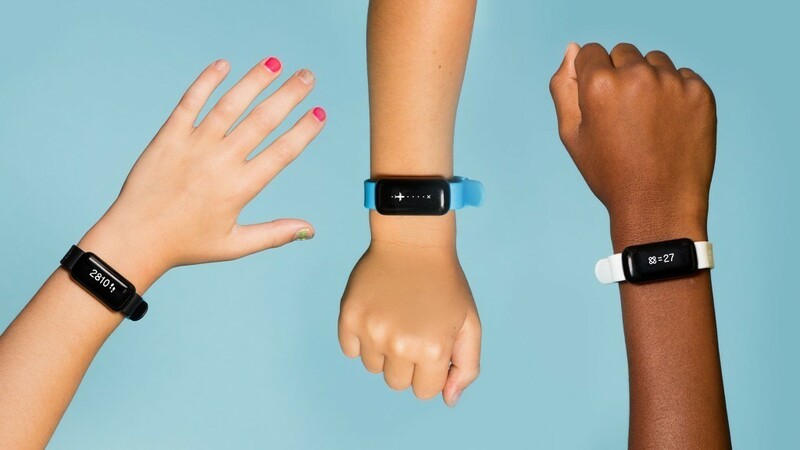 Created by the Ammunition Group, the UNICEF Kid Power Band encourages children to get active and earn points. The points are converted into funding used by UNICEF to deliver lifesaving packets of therapeutic food to severely malnourished children around the world. To date, the UNICEF Kid Power Team has earned more than 12 million Kid Power Points , enough to unlock more than 5.1 million packets of therapeutic food. Around the world, 18,000 people die every day because of air pollution . The World Health Organization says the number of deaths attributed to air pollution is 6.5 million a year. That’s more than the number of people killed by HIV/AIDS, tuberculosis and road injuries combined. 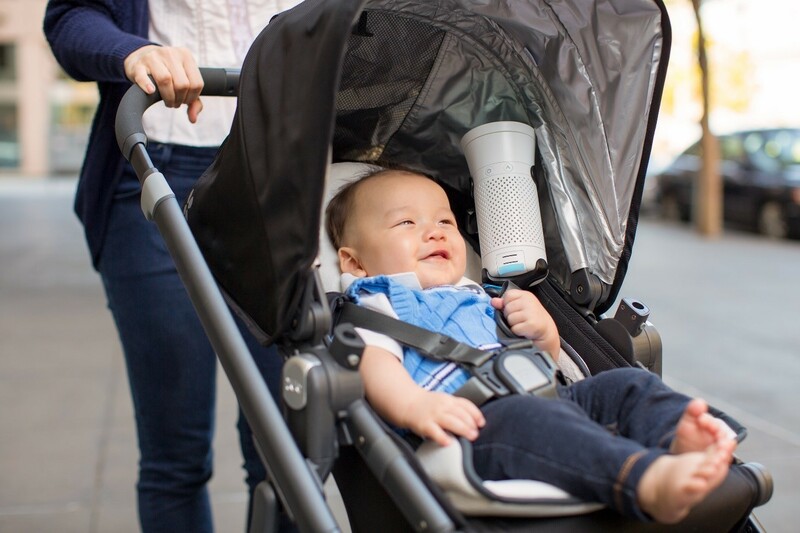 Wynd is a portable air cleaner that monitors the air around you and purifies where needed. It removes dust, allergens, smoke, and pollution from your personal space, in a device that is the size of a water bottle. It has been created by Wynd Technologies, Inc ., a start-up based in California. Founder Ray Wu often travelled to Asia, where poor air quality is a well-known problem. “We created Wynd out of a need to create clean environments for ourselves and our families wherever we go,” says the company .